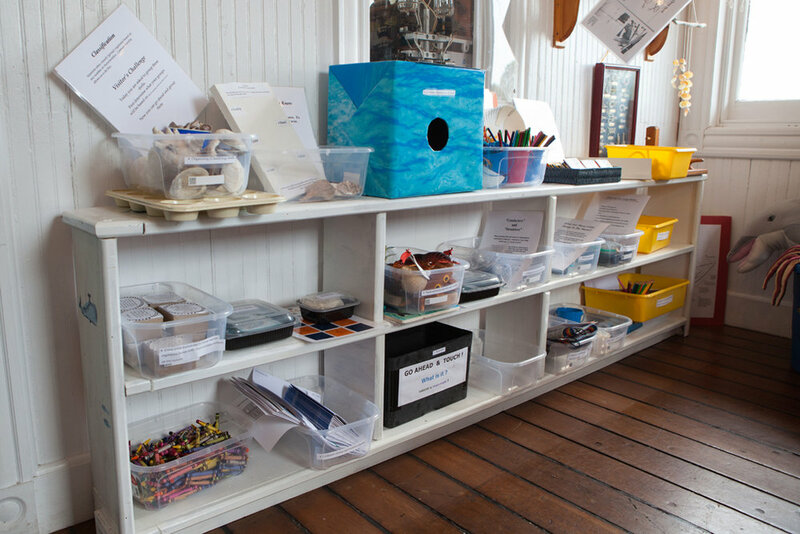 "Captain Bob's Quarterdeck" is a room dedicated as a children's please-touch-and-explore nautical experience. The room allows children of all ages to enjoy and learn about the coastal environment, maritime activities, local history, sea life, and to explore using their imaginations. This room is not just about displays. It is about experiences that spark curiosity, hold a child's attention and entice them to return again and again. Read about our Grand Opening.